Heather Fujikawa and Heidi Andrews are Latter-day Saint twin sisters who were blessed to have been raised by a mother who always found beauty in even the rarest and most obscure details that the average person would tend to overlook. Heather says, “She taught us to pause and find beauty in things. And not only that but [to] create beauty.” From that early appreciation of beautiful details and creativity was born a passion for interior design, which ultimately led to the start of their own company, Joyful Living. 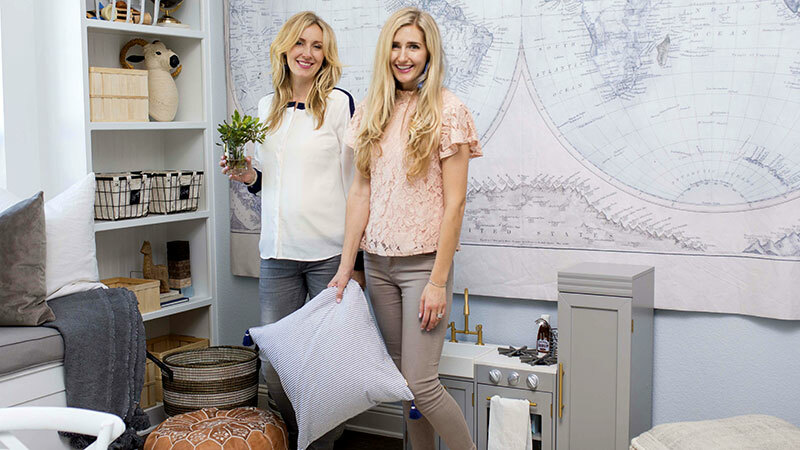 Heather and Heidi also have their own television show, Design Twins, which premiered on Uptv on 14 February 2019. 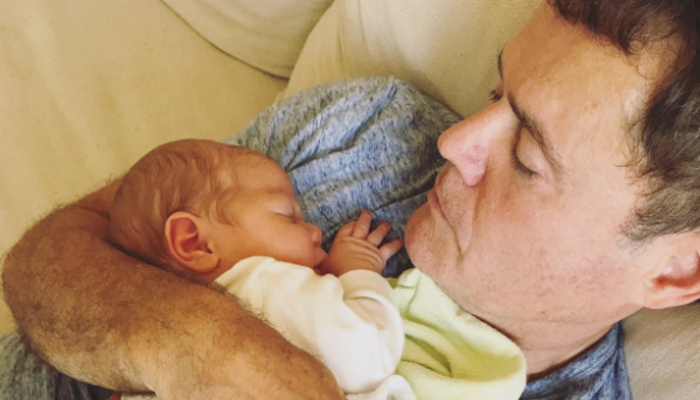 The show airs at 8:00 pm EST on Thursday evenings and features their husbands, Tyson and Paul, and their combined seven children, who are all under the age of six. Heather has three sons and Heidi has four daughters. 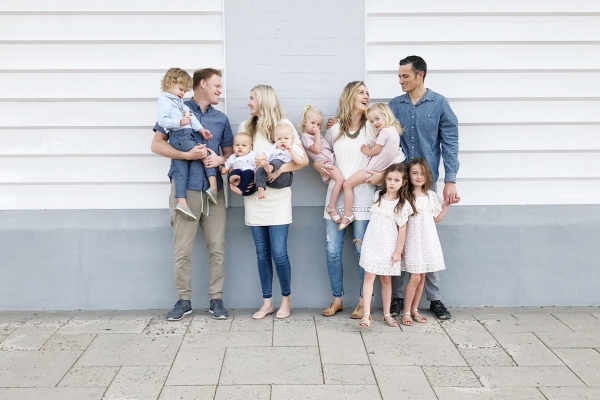 To get the business off the ground, both families moved into Heather’s home, taking the “it takes a village” concept to a whole new level. 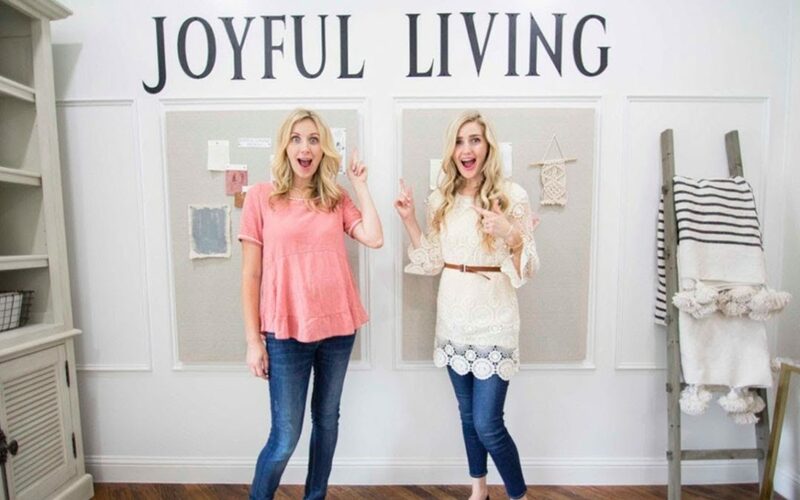 The sisters named their business Joyful Living because it’s the principle they start with – joy. One of the first questions that they ask when meeting with a client is, “What brings you joy?” That initial question gives the sisters a reference point to work from as they discover their client’s passions and interests, the elements of design that they like, and the kind of experience that they want to have in their home. LDS Living reports, “Despite their love of designing kid-friendly living spaces, ultimately, Heidi and Heather attest that building in time with family and children is the most important part to a home.”The two mothers have worked at finding that delicate balance between work and family, finding ways to always remain close and present to their children – being in full mommy mode off camera and giving their children their all when they can during filming. The television series also gives viewers unique insights as the twins juggle the chaos of family, work, play, hard times, and good times, while still finding joy.